SEGUIN, Texas - Seguin police are asking for the public's help in finding a missing woman. 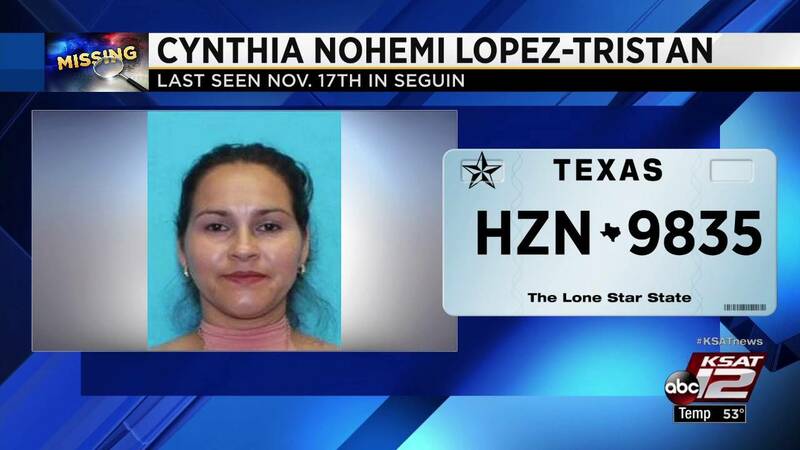 Cynthia Nohemi Lopez-Tristan, 35, was last seen Nov. 17 on Walnut Street in Seguin. Lopez-Tristan is 5 feet, 6 inches tall and weighs 136 pounds. She was driving a 2011 white Chevrolet Silverado pickup truck with Texas license plate HZN9835. If you have seen her, please call Seguin police at 830-379-2123.